This is part of a series of posts about Chicago Restaurant Week 2018, held January 26–February 8. View all of this year’s meal recaps, or browse all Restaurant Week coverage from 2013–2018. Best Bite: The squash soup was the most innovative dish of our meal at this cozy Lincoln Park spot. 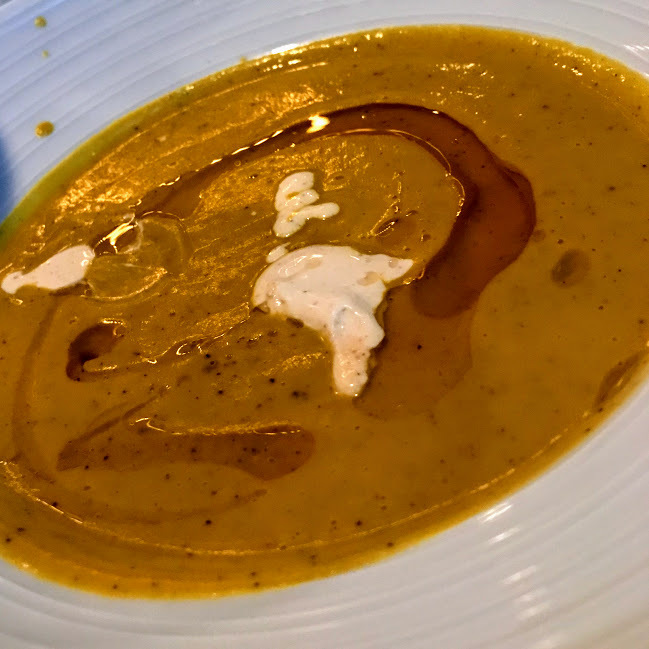 The brown butter, espresso, and squash came together to create a silky soup, with extra warmth from the chipotle. 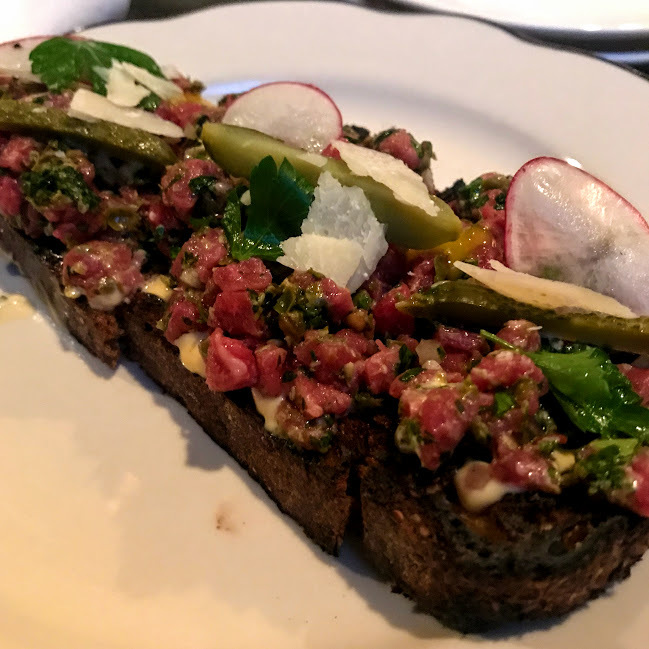 Other notes: My other favorite dish was actually from the same course as the soup: the beef tartare on toast, which had tons of salty and sour notes from pickles, capers, and parmesan. It was also fun to see muddy buddies (aka puppy chow) used as the topping for a chocolate pudding dessert – but because we were celebrating a birthday, I was too focused on the candle-blowing to snap a photo! The details: Willow Room, 1800 N. Halsted St., Chicago.